Property photography is my signature service. My work brings together my artistic and compositional skills, technical knowledge and understanding of the property market. I work with client to identify and design a shoot that suits his needs, wherever it is a beautiful exterior shot or a picture of interior emphasising each detail of the design. I am an experienced interiors, architectural and construction photographer with a creative eye and a very keen attention to detail. My construction background gives me a unique insight into how a project comes together allowing me to see the best way to showcase the details as well as an overall project. I specialise in understanding my clients and how they would like their clients to feel when they look at their work and produce images to tell their story. 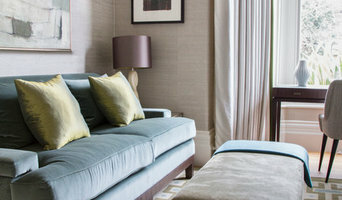 I provide styling advice on all projects where needed to ensure everything is perfect in the images you receive. Growing up in a small town near Milan, I moved to London in 2012 where I studied Photography at the " London School of Photography" and worked as an assistant for some professional photographers to gain as much experience as possible. From 2013 I'm a freelancer, exploring different aspects of photography and challenging myself constantly. My areas of expertise are "Interiors" and "still life" photography, as probably connected to my study in Interior design. Everything I do is made with passion and commitment, trying to achieve perfection in expressing my passion. I work following the technical rules, trying to add creativity, inspiration, feeling and creating something with its own personality. I am completely open in sharing and discuss ideas, with my usual enthusiasm, keen in creating a perfect synch with my clients. One of the biggest satisfaction is to reach great results and see my customers happy. 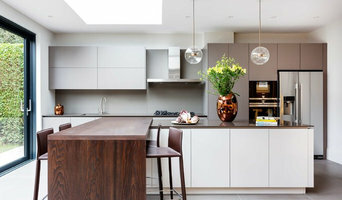 With fifteen years of experience as a professional photographer I have specialised in capturing special interior and exterior spaces throughout the UK and occasionally further afield. I am equally happy shooting a shed or a 25,000 sq ft Mansion. I aim for perfection using specialist equipment and waiting patiently for the perfect moment to create beautiful images that will show your business, property or any space in the best light. I like to develop good relations with my clients and work closely with them to ensure the end results are exactly what they require. 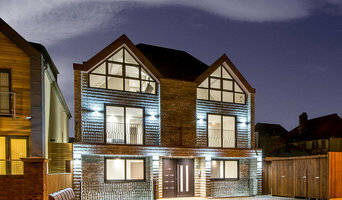 I have worked with architects, interior designers, property developers and high-end estate agents to help market and showcase their projects. David is a qualified photographer specialising in interiors, property marketing and portrait photography. 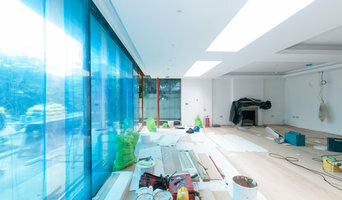 Hi, I'm Paul a professional interior photographer based in London and Leicester. I have been photographing interiors for over five years and specialise in capturing interior design and architecture. - PAVZO LTD Photography and Film - Operating both in London, UK and Internationally - Specialised in interior photography and luxury furniture - Adding high value to every project. - Providing top quality services to both corporate and private clients. - Over 22 Years of industry experience. Clients: Olympia Kensington London, Etc Venues, Excel London, Sony Mobile, Eli Lilly Pharmaceutics, Nokia Corporation, Abbot Laboratories, Grayling, Pentax Ricoh Imaging, Execview, Project Challenge Expo, Dec Marketing. Organised, meticulous and having distinct attention to detail, Ignas specialises in Architecture and Interior Design photography to capture the vision of your designs. Through a clean and compelling style, he is able to create exceptional attention-grabbing images, which will enhance the impact of your promotional usage across a variety of media. We look forward to exceeding your expectations through effectively communicating your business vision with our powerful photography. 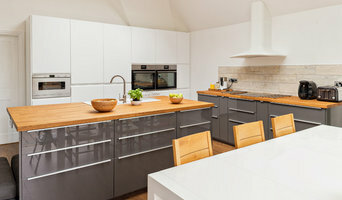 Surrey based photographer specialising in professional interior design photography. As a designer, You have invested a great deal of time and effort to achieve perfection and have a need to share your dreams and vision with your clients. In order to achieve this you need stunning photography to bring your designs into reality, photography that shows your work as you intended. I take the time to listen to your ideas and thoughts behind your design, to find out about your perfect client and then with skill I create images that will inspire and impress that client. I will create vibrant well lit images that show your work at its best and those that represent your brands core values. If are looking for a creative view for your designs then call me for a chat. Architectural and interiors photographer working with architects, building contractors, bespoke furniture makers, high-end estate agents and other property professionals.